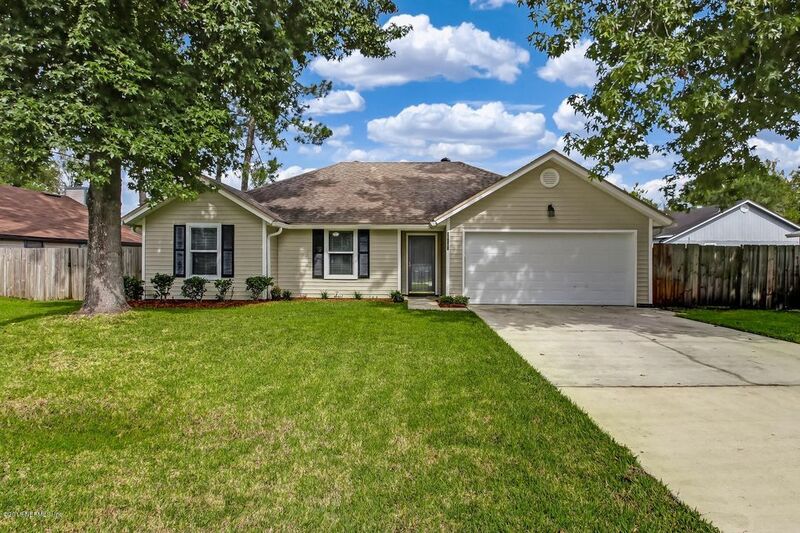 CHARMING MOVE-IN READY MANDARIN HOME! Front door opens to the Foyer with coat closet and leads to the open Great Room with stone fireplace. New carpet, freshly painted interior, updated lighting and new blinds throughout invite you into this well maintained home. Open patio and fully fenced backyard are perfect spot for grilling out and relaxing. Convenient to shopping, restaurants, and A-rated schools. NO HOA FEES! Mandarin offers abundant parks, nature trails, marinas and stunning waterfront views. LOVE WHERE YOU LIVE!